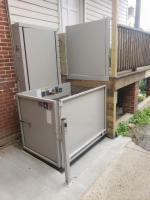 Wheelchair and Scooter Lifts for Vehicles. 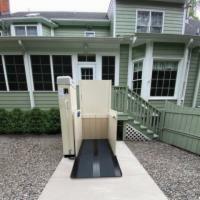 Electric Wheelchairs 101 carries an extensive selection of vertical platform lifts for your home or commercial building. 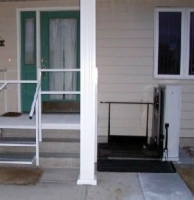 Whether you need a vertical wheelchair lift for two feet or twelve feet, we have the right vertical lift for you. 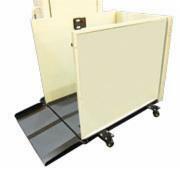 Vertical Platform Lifts can be a great alternative to ramps because they require significantly less space. 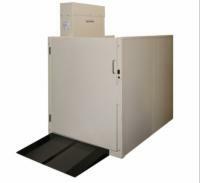 You will find wheelchair platform lifts to fit every need from residential porch lifts to custom handicap facilities. Take advantage of our expert staff to get free drawings, blueprints, information on regulations, ADA, or just ideas on shaft or site construction. 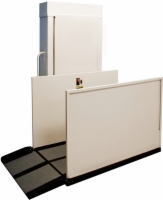 We also have a number of articles available for information on the entire process of preparing, ordering, delivery, and installation on vertical platform lifts in our buyer's guide section. 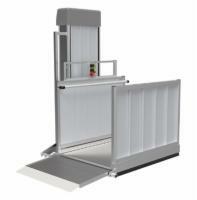 It is our goal to make your platform lift purchase run as smoothly as possible. Call us anytime between 7am and Midnight every day. 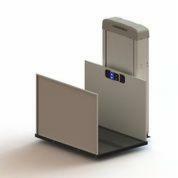 This lift is available new or reconditioned. With an increased weight capacity of 750 pounds, larger platform size, and more standard features, this lift will meet your every need at a price nobody can beat!